This is it! The final piece of a 7-post series in which I share the secrets behind building and growing my business over the last ten years. Please take advantage of the free assessment mentioned in the text. Read chapters one here, two, three, four, five, and six here. In the last chapter, I shared the decision I made to structure my business not to scale my services (though scaling via small-item intellectual products was fine with me) but to consider the “consumption capacity” of my market: how they would best (and most likely) consume brand and message development. I knew they would never do so in a class or mastermind with others and certainly not with any do-it-yourself program. I knew from experience teaching classes, that they needed private attention, where they would get feedback every step of the way, avoiding the very real danger of stepping on explosives when just starting out. I knew that with me right there, they wouldn’t. This was mid-2012 and by then—10 years in business over all, five years with Inspired Leaders’ Academy—I knew the exact sequence service entrepreneurs needed to take and so crafted the proprietary process that has been my signature program ever since: The Powerhouse Method. It is a far more creative version of 12 Sentences (earlier described), in that I am literally inventing their unique brands, but is similar in that they think and articulate in single sentences, which forces the cogency required in successfully conveying value. Branding is just the beginning of all they need to do, however, so I developed the Immersion Program, where we design their portal program (remember my 2-hour free live teaser event? Now, it is typically a webinar), that sells their signature program. We design both using the brain-based learning techniques I taught in my public speaking training, I write much of their marketing copy—and, crucially, we strategize their marketing and sales funnels. So, what made my work different from everyone else using those keywords? A lot of things that I can’t cover in this last chapter, but in the end, it’s my blend of inspirational and thought leadership. 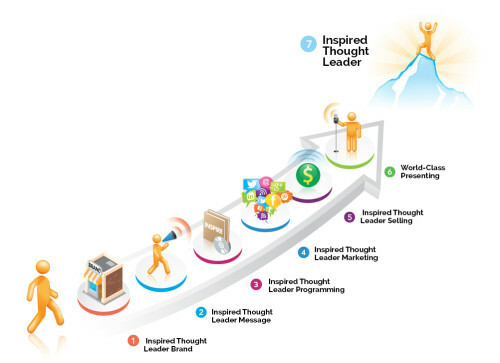 You can have a great visionary idea as a thought leader but not compel anyone to adopt it. It is the inspirational leader who has the lion’s share of the influence. No one else is saying this, and I have the proprietary process to “prove” this thesis. And that is what is always going to separate you from others. A “thesis” and then a sequence of steps to prove it that are unique. That sequence is your “special sauce”; no one can have your configuration of steps. But to be truly special, some of the ingredients in your sauce must be unusual. For The Powerhouse Method, five ingredients are ones I’ve cultivated and grown myself—and that’s a pretty high percentage. Positioning yourself in the marketplace is job number one of a business; you must know how to tell everyone why and how you are different. Zeroing in on your rare ingredient—within your special sauce–is the way to do it. Key take-away so far? 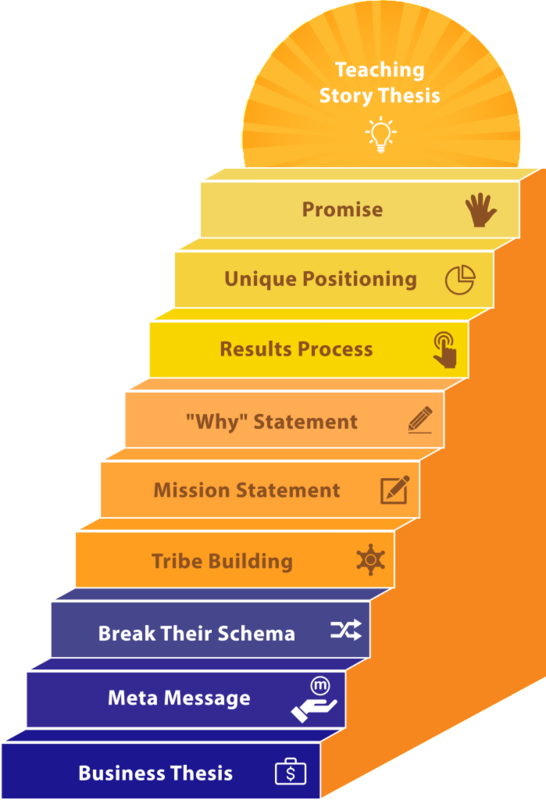 Make sure you have a special sauce (proprietary sequence of steps that deliver a measurable outcome) and work hard to develop one ingredient within it–one step–that is all yours and the core reason it is so special. I cannot stress enough that you will not find the fulfillment in your business that you deserve, nor the success, if you are not different from everyone in your field (and preferably, everyone out there, period). We are here on this earth to burn brightly, and if we want to do that through our work, we must stand far, far apart. If you remember nothing else from this series, remember that–and do not go one more day promoting something less than exceptional. It will have untold rewards. Because of my “inspired thought leader” curriculum, many doors open–my most precious is teaching at a prestigious private university here in New Jersey. Let me take a breath. You, too. 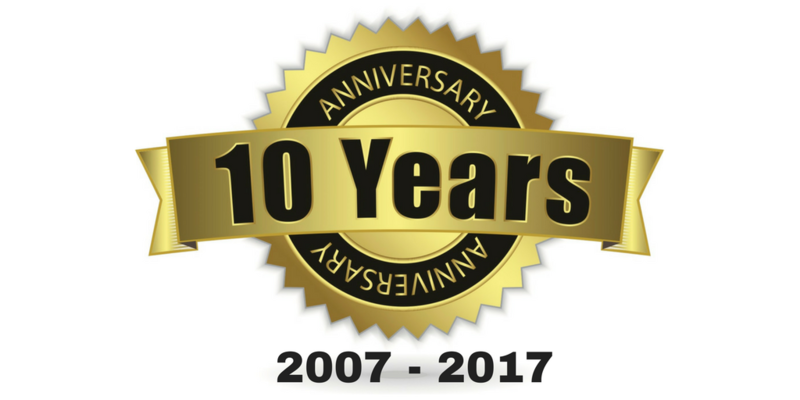 There’s so much to cover when looking back over ten years! I want to make sure I end this series with some key final lessons. Let’s look at marketing and selling. Selling private creative services is in some wayseasier than selling group events a nd in some ways harder. How do I market it? And how do I sell (because they’re different.) As has been the case for my entire 15-year run in business, I market primarily through speaking. 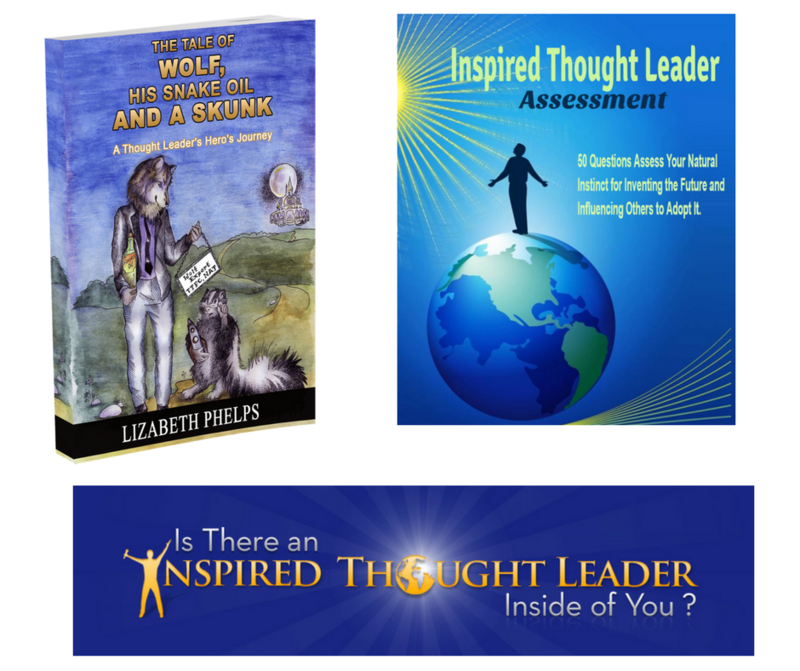 I have a signature talk, “Is There an Inspired Thought Leader Inside of You?” at the end of which, I invite a handful (only) of listeners to speak with me privately. I also have online funnels where someone downloads one of my free ebooks, videos, assessments, etc. and the call-to-action within those products is to speak to me privately. I use social media and Facebook Ads to send people to these landing pages. my signature talk, but then I also have the Inspired Thought Leader’s Assessment (go take it!) and a new business fable about the hero’s journey of an entrepreneurial wolf turned thought leader. I don’t put anything out now that is not specific to inspired thought leadership. I sell via several online funnels that offer one of the above free gifts, then on the next page, upsells a $10-$12 next-step product. And I sell on my free consultation calls. There is no other way to sell private programs in my experience. It can be time consuming, but if you plan your promotional year well, you concentrate those calls within a certain period so it’s not overwhelming (or fraught with dry spells). And if you’ve got your ascension model in place, your front-end buyer becomes a middle- and back-end buyer, so you’re not continually fishing. Know, always, what is more important than the blistering heat hot enough to scorch your dreams and meaning—and choose it. Every day, choose it. Business is about profit, of course; you can never forget that. But I have found that it’s true value is its relentless push toward your self-actualization. . I hope you got value from this series!! Come talk with me! We have so much to do!